In March 1978, after nearly one year in Singapore, the Lord called my wife and I to ‘go forward.’ Teaming up with another young married couple, we went to the island of Borneo. Years before (in 1974) God had spoken to me through what I thought was a vision and He had said to me that I would one day go to those islands in the north of Australia, for Him, which I believed at that time to be Indonesia. Well, at this time, we were headed there. Borneo comprises three countries; Indonesia, Malaysia and Brunei. We left Singapore, not that we had to leave. I had a long-term employment visa through teaching in Nanyang Junior College. We left because we had been passing out tracts on the street, which were based on the prophecies in Ezekiel 38,39, and the police did not like it. Previously I had had some run-in with them but the tracts I was using all checked out, and were authorized, by the department of Religion. I paid a small fee to get approval to be allowed to use them. This new one was not authorized. So, it seemed like a good time, and I never before had felt the call of God so strong, to ‘go forward’ to a new land. Really, it was crazy faith. I went down to the Singapore docks and found a ship, the Rajah Brooke (2300 tons, built in 1947), that was a leftover from a bygone era, when cruising the high seas was meant to be enjoyable. It was part cargo and part passenger and would sail from Singapore to Brunei, departing within a week. Tickets were very cheap and we bought 4 for the two couples. 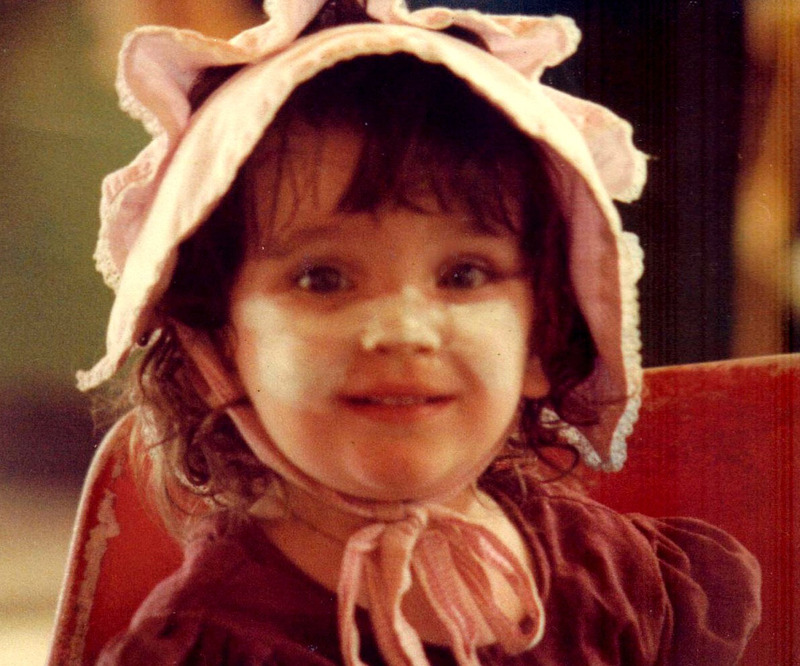 Our daughter Rachel, who was about one year old, was free. It was a very pleasant cruise, of about 1300 km (800 miles), 3 nights and 4 days, where the main activity on the journey was eating nicely prepared meals, and having morning and afternoon tea, in the custom of English dining of the previous century. One incident I remember on board was when I was finishing a cup of black coffee one breakfast time, as I emptied the cup, I saw, to my shock, a large black cockroach lying on its back at the bottom of my cup. I reacted by calling the waiter and complaining. He apologized, and as you do, you forget it, because it was one of those things, a one-off, and we did not pay so much for the tickets anyway. The next time, though, I think at the afternoon tea session, as I was finishing a cup of black coffee again, and again I saw a large black cockroach in the bottom of my cup. It was probably the same one. Who knows, but I believed that that waiter did not like me, for whatever reason, and was trying to get at me some way. But it was a trial, a minor hiccup really, on the start of a missionary journey. We landed in northwest Borneo in the small Sultanate of Brunei. This is an oil-rich state ruled by a Muslim Sultan, and at the time, May 1978, it had a strange mixture of the old world and the new. It was a protectorate of the U.K. at that time. For example, an old shack I saw was almost being pushed over by a giant air-conditioner attached to it and the owner had a brand new car in the driveway. Brunei had no income taxes, cooking gas was free to use, and there was a dichotomy between the old Malay kampung life and the new Western oil wealth. We landed at Bandar Seri Begawan (the capital) but only stayed briefly and moved to the south-western oil-city of Kuala Belait. Since we had no money left after only a few days in the country we were really depending of God. This was really crazy faith. But God said “Go ye…” (Mark 16:15) and we were obeying. By moving to the oil centre we hoped that we might find some work, teaching, or singing in restaurants, pubs etc. My wife Christina and our brother in the Lord, who came with us, were a good singing duo. We hoped their talents might be used. That way we might support ourselves. Understand though at that time there were only two cities, connected by a 111 km road. See map. Because of Islamic Sharia law, the country had restrictions on about everything. No movie theatres, no dancing, no bars etc, but in reality was very corrupt. And because of the large expatriate oil-worker population in KB (the local name for Kuala Belait) due to the presence of Shell, there was one licensed restaurant/bar and an oil workers’ club where alcohol was served. We stayed in a hotel while we looked for a house to rent. Someone told us of a man, an old Muslim Haji, who was looking to rent the top floor of his house, while his family lived on the ground floor. It was fully equipped separate 3-bedroom apartment. I spoke to him through his son, because he could not speak English. They told us the monthly rent was so much, and without really trying to bargain so much because we had no money left, I simply said we did not have that amount. So they halved the price, and I again repeated what I said, and they halved the price again. This time I told them that we had just arrived and did not yet have any income, but would pay them when we were able to get some money. Remarkably, that was ok. They said, just pay us when you can. God uses anybody to accomplish His will. We moved in. It was fully furnished, with free utilities. It only lacked some pots and pans in the kitchen and, of course, food. So, where do you go when you need food? The supermarket. By faith, then, without any cash by this time, we went down to the nearest shop that was a supermarket in design. I approached the older Chinese woman at the checkout to explain our circumstances. Note, most of the local commerce in Brunei was run by the Chinese population, which was slightly less in number than the indigenous and Malay people. I told the lady, that we had just come to Brunei, as missionaries, to reach the lost for Christ. We had been able to find accommodation, but as yet we had no income and needed some kitchen stuff and food. Without hardly responding she indicated to me to take the shopping trolley and come back to her when we had what we needed. What a test of faith that was! As we went down the aisle, my wife questioned me whether she understood. That is, the implied suggestion that we could not pay anything. So that was a test, because how strong is your faith to believe what God is trying to give you. We disputed over whether to put something in the basket, or not, that cost more than another item etc. Our faith was being tested, and I sure felt it in my gut. We got back to the checkout, and in silence the lady rang up everything (and it was a lot). Our trolley was filled to overflowing. I remember to this day that paper tape as she lifted it up from the cash-register. It was as long as her arm. And, you must understand, we had doubts all along that she had even understood what I had first said, because she hardly spoke a word. Then she waved her hand and said “Go” with a smile on her face. She knew exactly what she was doing and why. God is a God of miracles! In an effort to witness to people we would go to the only bar/restaurant in town. It had a giant sign across the top of the bar section saying it is illegal for any Muslim to be there. That was to include drinking alcohol. I mention this point because that is where I met the head of the religious police, who told me he was there to police that law. But he was drinking alcohol. Our witnessing efforts were mostly door-to-door and personal witnessing in shops and this restaurant/bar. We did meet and gave a full witness to a few expats, including an Australian. He bought us a meal. I remember because he wanted us to eat snails, which Christina did. Now by the time we arrived in Brunei my wife was about 6 months pregnant with our second child. We were planning to have the baby in the KB hospital and so in order to make sure that we were able to get the correct legal documents for our daughter, who would be born there, I took a bus up to the capital Bandar (as they called it). I took our daughter Rachel with me. I had to see the British Consul, who acted for Australians, since Australia had no embassy in that country. On my way back to KB, to save the very little money we did have, I decided to hitchhike with my daughter. Very quickly we were picked up by a police officer in full military uniform, a Colonel, if I recall. He was driving a small but new car, and said he was headed home, in the capital. So trusting the Lord we went with him. He gave us lunch and then he said, please take my car, and he gave me the keys. How often does that happen to you? He said, if anyone asks just tell them my name and return the car to any police station in KB when you are finished with it. Wow! On my way back I was pulled over at a check point by police, and I said whose car it was, and they quickly waved me through. Clearly the owner was an important guy. When I arrived at the house, you should have seen the look on my wife’s face. Ha! God does strange things, when you step out by faith! Quite soon it became apparent to us, because the Lord had not opened any doors to any real income through singing or teaching activities, that we needed to make sure we were in the right place by the time our daughter was to be born. Therefore we felt we should move on from Brunei, down to Sarawak, eastern Malaysia, still on the Borneo island. We felt God’s call this way, but the couple who were with us, had arranged to return home to Canada. I think their parents sent them the funds to do so. So we parted ways. What do you do when you want to travel somewhere? You go to a travel agent. That is exactly what I did, trusting the Lord. I went into a local travel agent in the town, and as I started to approach his desk, I noticed he looked familiar. I noted his name and raced back to the house and looked through the big stack of name cards I had collected over the past 18 months in Singapore and Brunei. And I found his business card. I went back to him and sat at his desk. He smiled as he said he recognized me. We talked about it: I had witnessed to him 9 months earlier in Singapore, in “People Park,” one of those open eating areas, and had led him to the Lord in a prayer of repentance. He had given me is card back then but I was not even aware of where Kuala Belait was at that time. He was so happy to meet me again. God works in strange ways. All the glory to God! We then discussed our travel plans as I told him what we were doing but felt lead that God wanted us to head down to Kuching, the capital of Sarawak, where we would have our next child. So he told me, he could sell me tickets on a bus, that crossed the border from KB to Miri in Sarawak. 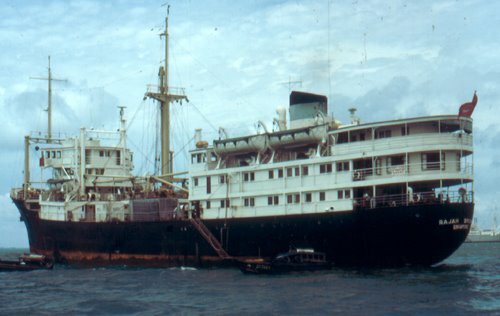 Then from Sarawak we could take a small cargo ship, which had some cabins, down to Kuching. He had friends in Miri and arranged for us to stay overnight with them. Then as he got out the tickets, he said how much it came to and I had to admit that we did not have that much money. He said nothing more and opened his own wallet and paid for them himself. God’s hand was so obvious in his life. Then after a crazy bus trip, which passed monkeys in the jungle and where the driver drove along the wet beach at the water’s edge as it was in better condition than the rough road, we arrived at the Sarawak Immigration and Customs post in the middle of a jungle. The following will tell you how naïve I was. We had to carry our belongings off the bus, pass through Immigration and Customs, then get back on the bus with our luggage, to continue on to Miri. Immigration easily gave us a 2 week visit visa; as Australians that was straight-forward. But at Customs they looked at our cases with Bibles, tracts and ‘religious books’ and they asked us what we were doing with these. So, and you might find this hard to believe, I took up our guitar (and I am no artist, believe me) and I sang them one of the few songs I knew, about going for Jesus, following Him etc. Some of the customs staff were Christians; they applauded. Others were Muslims and were not impressed. I said we’s come there as missionaries, on our own. This gave us a mark on our record that later would show up down in Kuching. We went onto Miri, and met up with the family our friend in KB had arranged for us to stay with. The following day they took us to the dock to meet the ship for Kuching. It was a cargo ship of few hundred tons gross weight. We went into the small cabin and it was so dirty and cramped we decided to go out on the main deck under the cover of a large tarpaulin stretched across the front cargo hold. We put out our grass mats and slept on the deck next to Sarawak indians (Dayak, Iban etc) who had long knives (the size of machetes) with them. They really loved our daughter, Rachel. They were such a loving people yet were once head-hunters. Many had been converted to Christianity through past missionary efforts, but still they kept their long knives. I think that was 2 nights and 3 days on that boat, where they served you a mountain of rice and some tiny amount of fish and vegetables twice daily. It was a far cry from the Rajah Brooke. It was loaded to the gunnels with steel and rode very low in the water, for stability in those seas. It hugged the coastline and we loved the trip as primitive as it was. I remember on one occasion where Christina had her feet in the water, as the waves lapped up the sides, and a brightly coloured highly poisonous sea-snake swam right past her. She quickly pulled her legs onto that boat. Ha! We arrived in Kuching safely. By this time my wife, Christina, had only weeks before delivery of our daughter. But we were trusting God, that He would cake care of us. We were there to do His work, and He had taken care of us, all the way, so far. Why doubt Him now? This entry was posted in Testimonies, Trials and temptations, Witnessing and tagged Bandar Seri Begawan, Brunei, Jesus Christ, John Hartnett, Kuala Belait, Miri, missionary journey, Rajah Brooke, Sarawak, Singapore. Bookmark the permalink.